You’ve likely seen art that it is created with a variety of dots. From far away, it looks like it’s one connected piece but up close, it’s a tiny bunch of dots. If you’re not known for your tight artistic skill, don’t worry, there’s a pen that will do it for you. DotsPen makes the stippling for you. 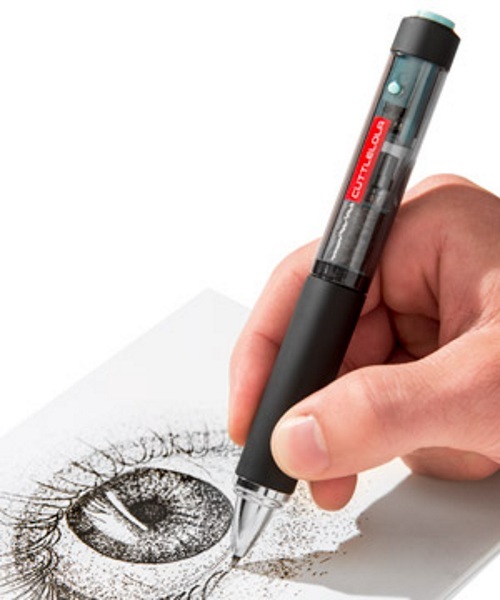 This pen lets you draw a straight line because the tip of this pen moves up and down, creating stippling (that is what the tiny dots are called) as you draw normally. You move the pen as you would normally, in whatever your style is, and the lines come out as very small dots.